The National Final of Social Innovation Relay in Japan took place on 17 February. 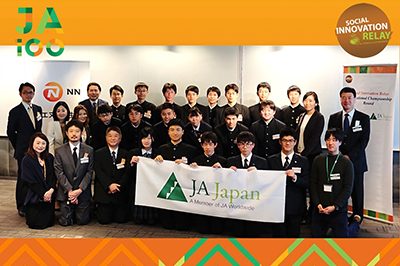 The winning team "Amos" will represent Japan at the SIR Global Online Final organised by JA Europe on June 29, 2019. The student social enterprise project wants to solve the problem of lonely death in Japan with an application that takes advantage of AI. Elderly isolation being a very important issue in Japan.